CLOTHING THAT IS CUSTOM-MADE for a single individual is rare today due to the cost and the time it takes to manually measure, create patterns, and construct garments. The menswear tailor and couture fashion house are exclusive venues that offer high quality, custom clothing to a select few. Even sewing at home has become a leisure activity and creative outlet instead of a way to provide clothing for the family. In fact, it has become more economical to buy ready-to-wear (mass-produced) clothing than to make your own. CLOTHING THAT IS CUSTOM-MADE for a single individual is rare today due to the cost and the time it takes to manually measure, create patterns, and construct garments. The menswear tailor and couture fashion house are exclusive venues that offer high-quality, custom clothing to a select few. Even sewing at home has become a leisure activity and creative outlet instead of a way to provide clothing for the family. In fact, it has become more economical to buy ready-to-wear (mass-produced) clothing than to make your own. Until the early 20th century, the majority of clothing was made one garment at a time for individuals. Women provided clothing for their families either by making it themselves or with the assistance of seamstresses. 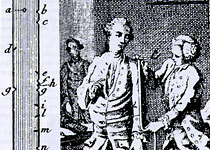 Men of the upper classes went to a tailor for individually fitted garments. Class distinctions were well defined by clothing as the garments made by professional seamstresses and tailors were fitted and styled differently from those made in the home. 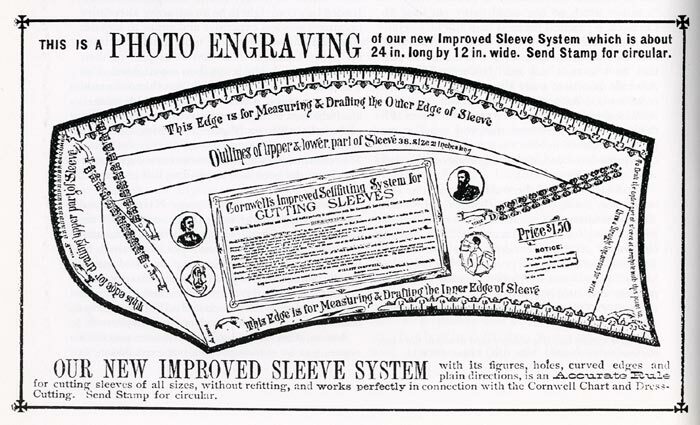 At the time, the process of going to a shop to buy pre-made garments was limited to sailors, who purchased roughly constructed garments called slops. Technological developments, patternmaking insights, and mass production changed how clothing was constructed by the early 1900s. 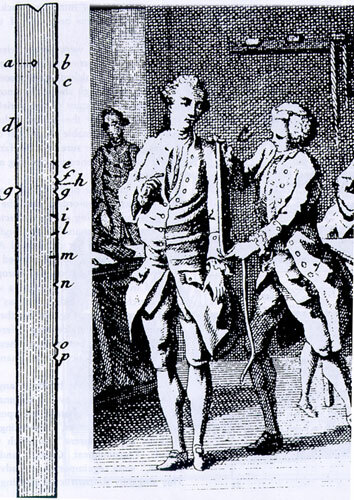 Tailors recognized similarities between the garments they made for individual clients, and began to think in terms of proportionally scaled patterns for people of different sizes, known as "graded" sets of clothing sizes. The invention of power looms lowered the cost of fabrics, while sewing machines and industrialization decreased the overall costs of making clothing. By the 1920s most clothing was available as ready-to-wear products sold through catalogs such as Montgomery Ward or in the nascent urban department stores. The modern age of apparel production had begun. Historian Claudia Kidwell describes this evolution from custom-made to ready-to-wear clothing as the "democratization of clothing." Class distinctions based on clothing abated somewhat as relatively inexpensive ready-to-wear clothing, which often fit better than home-made, became readily available for purchase. Twenty-first century technologies are defining a new era of customized and mass-customized clothing. Worldwide, apparel firms are experimenting with economical strategies that individualize clothing for each customer by offering a variety of design and fit options. Large and small, Internet as well as bricks-and-mortar companies are now making clothing "just for you." 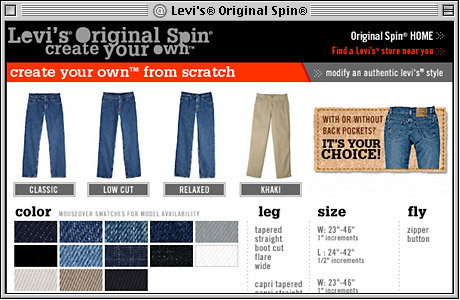 Levi Strauss & Co. was the first large apparel company to offer mass customization when they introduced "Personal Pair" jeans, later marketed under the name "Original Spin", in selected Levi's stores. Consumers could customize their jeans by choosing from a selection of styles, fabrics, finishes, colors, leg-opening sizes, and inseam lengths. 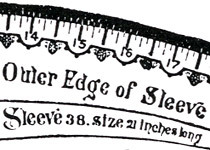 Individual measurements were taken by a salesperson. 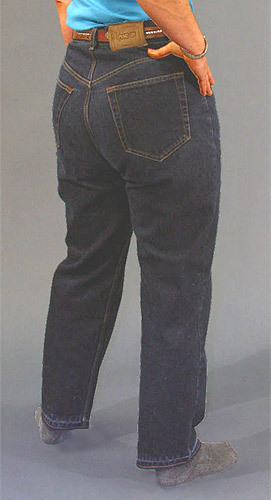 Jeans fit was determined by inputting the individual's measurements and style selections into a computer program, and then trying on jeans that are kept in the store for that purpose. Thus, the customer could identify the exact fit that matches their preference. 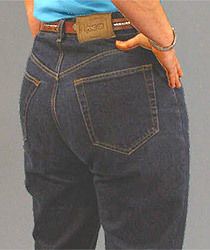 The jeans were individually manufactured and shipped to the customer's home. A record was kept of each customer's selections, so the next pair of jeans could be ordered without the try-on step. This program was discontinued in 2004 when Levi's closed the last of its domestic manufacturing plants. Using a different strategy, Lands' End offers custom-made shirts, jeans, and chinos on their Web site. Customers type in their measurements, guided by instructions on how to take them properly. Style, fabric, and fit choices are made from a set of options on screen. 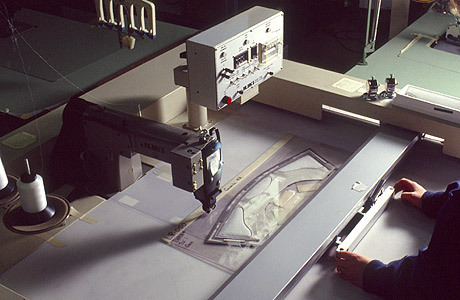 An automated custom patternmaking process is used to create a pattern specific to each individual, then the garment is made and shipped to the customer's home. Lands' End keeps these measurements on file so customers can reorder. Brooks Brothers uses all of the new technologies, including the body scanner, seamlessly. They offer mass-customized suits at their New York City retail store using a 3D body scanner to collect customer measurements. Style, fabrics, and design features are selected from a computer screen in consultation with a trained sales professional, who facilitates the discussion of fit preferences, such as loose or form-fitted clothing. 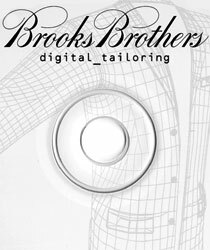 Brooks Brothers uses a proprietary custom patternmaking system to create an individual pattern based on the body measurements. The garment is manufactured and shipped to the store where a single fitting ensures customer satisfaction. Scan data and patterns for each customer are stored for reorders. Many smaller Internet-based companies offer a variety of custom design and size choices for clothing products ranging from bridesmaid dresses to fleece jackets. Suppliers of military, school, and industrial uniforms are also offering style and size customizations. A tour of the Web will find companies offering mass-customized clothing such as IC3D (Interactive Custom Clothes Company Designs), American Fit, and BeyondFleece. Technology-enhanced made-to-measure (i.e., mass-customized) clothing is now affordable and easy to acquire from companies of all sizes. Mass customization strategies are driven by a host of enabling technologies ranging from bar codes to laser cutters, body scanners to Web applications. 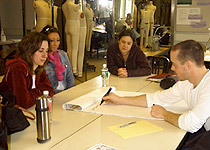 In the apparel industry, the critical technologies for mass-customized clothing are the body scanner for collecting body measurements; computer-aided design (CAD) systems for patternmaking; the Internet for communication between the customer and the customizer; and computerized processes that assist with accurate and rapid production and delivery. One weak link in the Internet ordering process is self-measurement, which tends to be inaccurate. When it is more widely available, body scan technology will solve this problem. 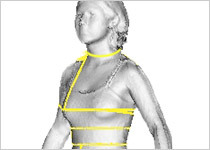 The 3D body scanner is a fast and reliable tool for collecting measurements. Once a scan is taken (a 12-second process), it is transferred to the computer and visualized on the screen (about 45 seconds). 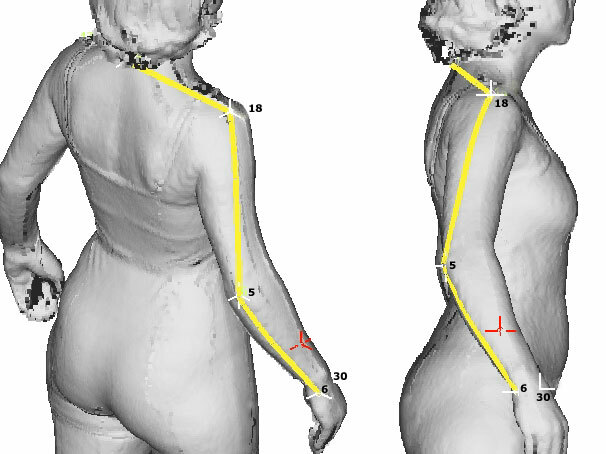 In the next step, software automatically locates body landmarks and generates measurements (about one minute depending on the number of measurements desired). 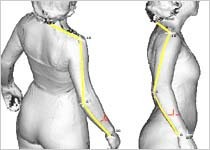 These measurements are very reliable but protocols for locating body landmarks still need to be perfected. Humans come in a very wide range of shapes. 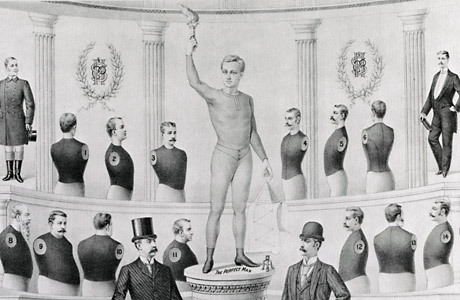 A human tailor can recognize the similarities in dissimilar bodies and make informed choices about how to make a body measurement, while a computer must be programmed for every eventuality. As new software is developed, the automated measurements generated by computers continually improve. 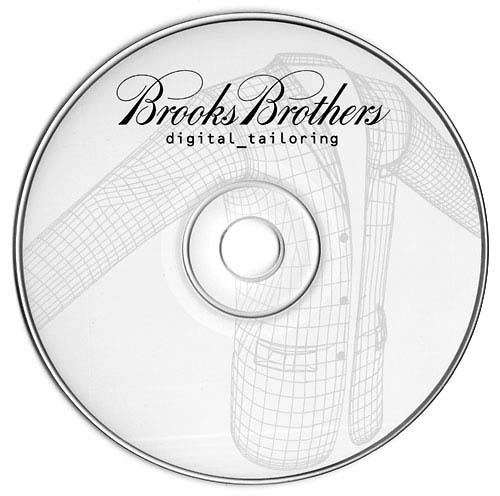 CAD technology is critical to the automated creation of custom-fitted apparel patterns. CAD is a generic term that covers pre-production design functions that are completed on the computer; this includes surface design, sketching, and patternmaking. CAD patternmaking systems use digital information about measurements and pattern shapes to create, modify, file, store, and reuse patterns. Scan data are saved in a special format to be read by CAD systems. Traditional patternmaking and grading processes can be expanded by creating multiple sets of patterns that will fit a variety of different body proportions. 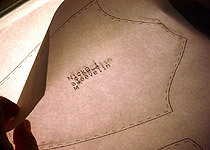 For example, patterns can be generated for every possible combination of waist and hip measurement. Traditionally graded patterns can be used in another way by selecting the closest-fitting pattern and applying automated alterations to custom-fit the pattern. 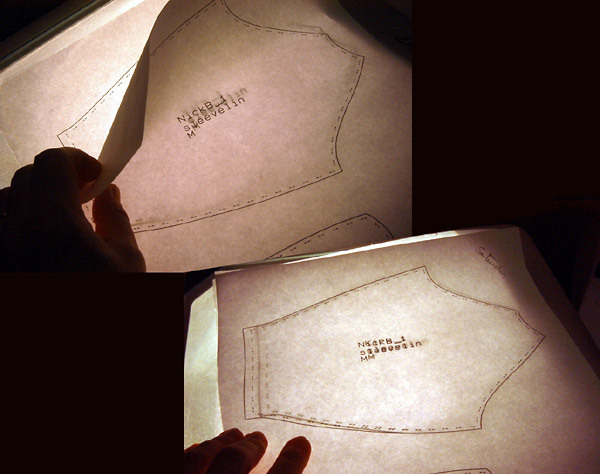 Traditional pattern drafting techniques can be used to automatically generate a pattern directly from a set of body measurements. New software programs are being developed that actually "unwrap" a 3D representation of a garment to make a 2D pattern shape. 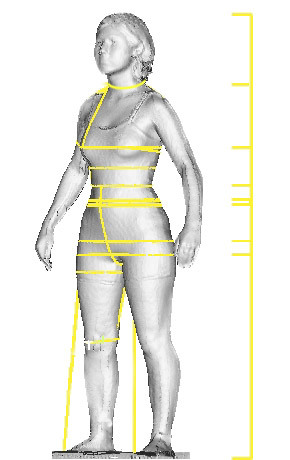 Fitting the complex shape of a human body is a difficult task, even with body scanners and computer technology. The interactions between body shapes, pattern shapes, and fabric properties can create an exponential number of possible fitting issues to be resolved. The development and testing of these processes is still in its infancy, yet it is already possible to create a system that can provide well-designed custom-fitted garments. 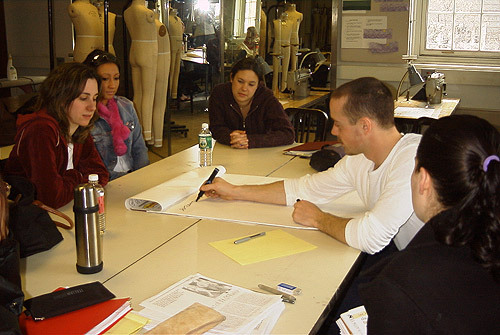 Using technology available at Cornell University, students in an apparel design class tested the steps and technology needed to produce made-to-measure clothing. 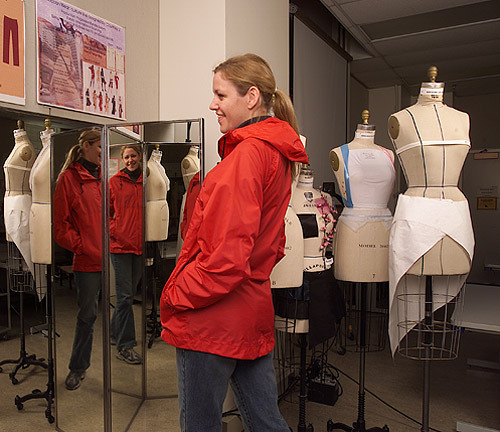 CAD patternmaking software called FitNet (developed by Lectra, Inc.) was used in conjunction with the body scanner to generate patterns for a hooded rain jacket. The FitNet system begins with a standard graded pattern, provided by Log House Designs, a manufacturer of men's and women's outerwear which collaborated on the project. which incremental and location changes need to be made to pattern pieces for each alteration. The most important and difficult issue concerns the "ease" values -- extra fabric that allows for movement (wearing ease) and creates the desired silhouette (design ease). Charts that define this variable for each size and each body dimension were developed, tested, adjusted, and tested again. Then, Log House Designs made a set of 10 nylon custom-fitted jackets from the patterns generated by the class to test the fit on 10 clients. A second critical issue arose in this custom clothing project: individuals have distinctive fit preferences. For example, several of the subjects preferred jacket or sleeve lengths that were longer or shorter than the standard lengths judged ideal for the jackets. Ultimately, fit preference issues must be resolved if mass customization systems are to be successful. Results from the project were encouraging. Although the process of setting up and testing the system required many iterations, in the end a very good standard of fit was achieved. For seven of the ten subjects, the system created a jacket that fitted better than a standard ready-to-wear size, and for the other three the jacket fit just as well as the ready-to-wear size. Using advanced digital technologies, it was possible to create a working made-to-measure system in an acceptable amount of time. Subsequent to the first project, Cornell students have experimented with several other made-to-measure products. Read about these projects in the current research section of the website. Technologies exist to create cost-effective mass-customized clothing. Questions that require further research include: Can automated CAD patternmaking systems successfully create patterns for closely fitted garments? How many consumers will buy mass-customized clothing? Will they accept body scanning technology to take their measurements? © 2011 Cornell University. All rights reserved.